WCI Leeds are a fast expanding new business and needed a professional website to display their wide range of window, gutter and conservatory cleaning services. This year we developed a new site for Kapre Enterprises, a Yorkshire based firm that specialises in building window cleaning rounds for sale to window cleaners looking to expand their business. We needed to ensure the site could assist them in building relationships through social networking and through the site itself, so integrated twitter and facebook real time feeds onto the site and created attractive social media icons in the site’s header. When the founders of AO-AO approached us, the site had just recently started out as a music and fashion blog, using free wordpress.com services to host their site. They wanted to take the leap from a blog to a serious site, so we worked together in creating a bespoke, brand new self-hosted WordPress platform to run their site from. We integrated social media buttons into the site to help the brand grow and generate return traffic from sites like Twitter and Facebook. Since the new site has launched, AOAO has become wildly succesful, generating huge amounts of traffic and regularly hosts features and interviews with some of the most desirable models in the industry at the moment such as Ashley Sky, Giza Lagarce and Ashley Moore. 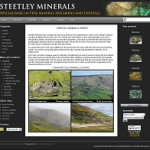 We were asked by Steetley Minerals to undertake a fairly ambitious project for their new site:- to try to provide a huge amount of e-commerce functionality and give the site a fresh look, whilst at the same time delivering a site that would be much cheaper to run than their previous platform. This was achieved by developing and redesigning freely available open-source online commerce software, and maintaining a high level of attention to detail throughout the site’s design. The Bradford City Centre Project (BCCP) is a charity for young people between the age of 16-25 in housing need or facing any other problems in their life. BCCP required a totally new look to their website as the previous one had started to look quite dated, and also wished for more functionality from the website. 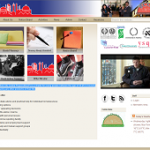 Instead of merely being a public face, the website is now an important tool for BCCP in their operational delivery – facilitating services such as cold weather provision information that can easily be updated by staff, an online examination system with certificates for young people to prove they are ‘tenancy-ready’, and confidential staff areas where documents and discussions can be shared. The Yorkshire Accord Coaching & Mentoring Scheme is a successful partnership between public sector organisations based in and around York & North Yorkshire area, a partnership which provides award winning and cost effective mentoring, coaching and networking opportunities for member organisations. In addition to the public website, we developed a password protected members area that enables scheme members and project leaders to publish content, interact and also engage in feedback surveys to enable continual assessment of how well the project is meeting its goals. This site was designed recently for a company that organises nightclub events in major cities such as Bradford, Leeds, Manchester, London, Birmingham and Liverpool. Design briefs included moving images, plenty of vibrance and colour, but most importantly, the facility to capture visitor data. Using our bespoke software solutions, not only are visitors able to enter their details for subscription to future mailings, but the image galleries also run custom scripts to record visitor contact details before viewing. Other features on the website include a mixes page where embedded audio files can be added for visitors to listen to music (without having to leave the site), and an implementation of e-commerce on the merchandise page. This site is a great case study of how you can always go for an inexpensive refresh of an old fashioned html based site if it mostly serves your current needs. Rob’s is a well established tattoo studio based in Bradford, West Yorkshire. It is owned & run by the award winning artist, Rob Doubtfire and also there’s resident tattooists Kirsty & Sam. Rob has been a tattoo artist for over 30 years and has won over 100 awards for his work at many different shows/conventions up and down the country. He specialises in all styles and areas, and runs a very clean and hygenic studio. 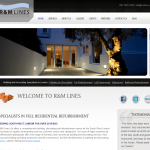 When discussing the site, Rob had very specific criteria for what he wanted the site to look like, and how it would function. The message boards were placed to encourage participation from visitors on every single page, and the hit counter and music are examples of how easy it is for clients to add things themselves to the website. The backend software is so simple to use, and can produce a simple look, but is at the same time sophisticated and rich in features. 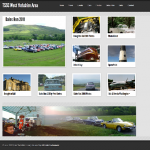 This was a really enjoyable site to develop; the West Yorkshire branch of the TSSC are a great bunch and had loads of photographs, stories and other information to share amongst members on this new website. We decided to make the site feel slightly like an advertisment on the homepage, with a very clean and attractive face, yet with the functionality to host a wide range of different categories and page types as you delve deeper into the site. New pages are being added to this one all the time as members dig out media to add to the website, so pay close attention to the exciting new developments coming soon. 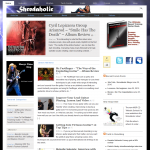 Shredaholic is the first major website developed by Rick and is now the most popular website in the world for it’s genre (‘shred’, a form of heavy metal guitar playing). Benefiting from contributions from many professional guitarists, the site has had millions of visits since its creation in 2004, and boasts high rankings in google for most relevant search terms. Shredaholic is still managed by RB Web Development and continues to grow in size, popularity and revenue. 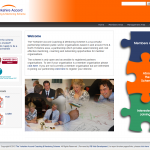 One of our older sites was a traditional html based site we developed many years ago for Pacalis Associates, a limited company that specialise in consultancy, bespoke training and development programmes for sectors such as policing, security sector reform and tackling violent extremism. 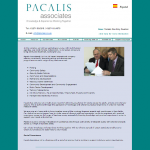 Featuring static pages only, subtle colours and many PDF files that can be accessed, the Pacalis site was a very straightforward, no-nonsense site that matches the professionalism of the company it represents. 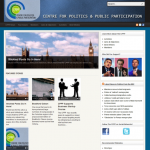 The CPPP came to us looking for a total overhaul of their website, prior to the organisation’s launch in the near future. What we’ve done here is created a site that looks professional yet isn’t intimidating to people who aren’t involved in politics. The real-time feeds in the sidebar relay live news from the BBC to keep the site feeling fresh and relevant, and the ability for people to comment on the website articles invites participation with the end users.